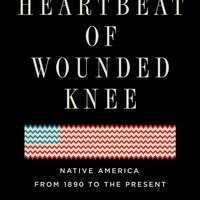 The received idea of Native American history—as promulgated by books like Dee Brown's mega-bestselling 1970 Bury My Heart at Wounded Knee--has been that American Indian history essentially ended with the 1890 massacre at Wounded Knee. Not only did one hundred fifty Sioux die at the hands of the U. S. Cavalry, the sense was, but Native civilization did as well. David Treuer is Ojibwe from the Leech Lake Reservation in northern Minnesota. He grew up on Leech Lake and left to attend Princeton University where he worked with Paul Muldoon, Joanna Scott, and Toni Morrison. He published his first novel, LITTLE, when he was twenty-four. Treuer is the recipient of the Pushcart Prize, and his work has been named an editor's pick by the Washington Post, Time Out, and City Pages. His essays and reviews have appeared in the New York Times, Los Angeles Times, Esquire, Slate.com, and The Washington Post.